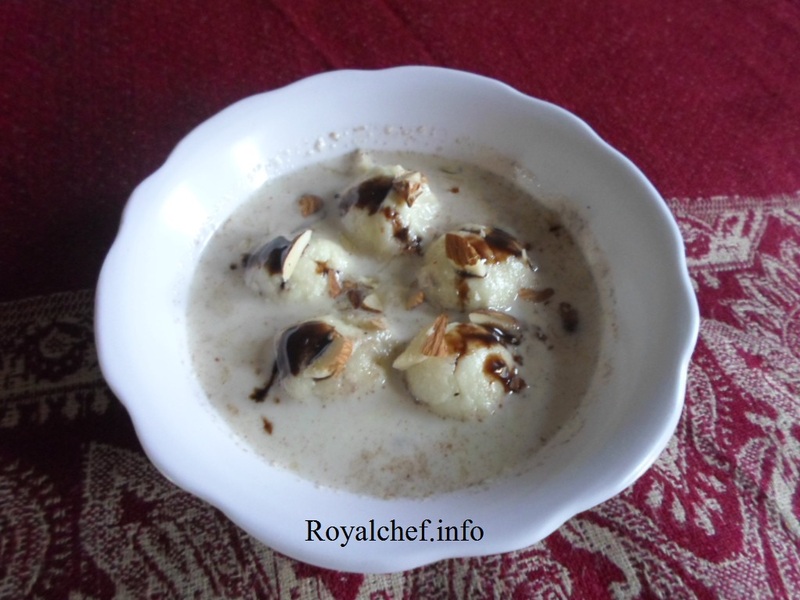 This is a Recipe for the Chocolate variant of the Rasmalai a most popular and famous Bengali Mithai in your home. This Kind of Rasmalai is normally not found in Mithai Shops, hence a rare kind of Mithai. For the Rasgulla: Boil the Milk, add the Citric Acid, Water, and mix it well. Stir the Milk for two minutes on a slow flame. Keep a clean thin cloth over the strainer and then pour the Milk over the cloth. 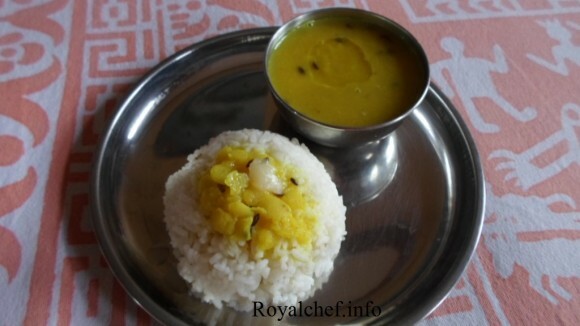 Remove the excess Water and then pour cold Water over the Chana[ the residue on the cloth is called Chana]. Press the Chana and remove the excess Water. Remove the Chana from the cloth, add Baking Powder, and grind for two second in the mixer. Remove the Chana from the grinder and prepare Dough. While preparing small balls from the Dough insert the small pieces of Chocolate in the balls and then keep them aside. 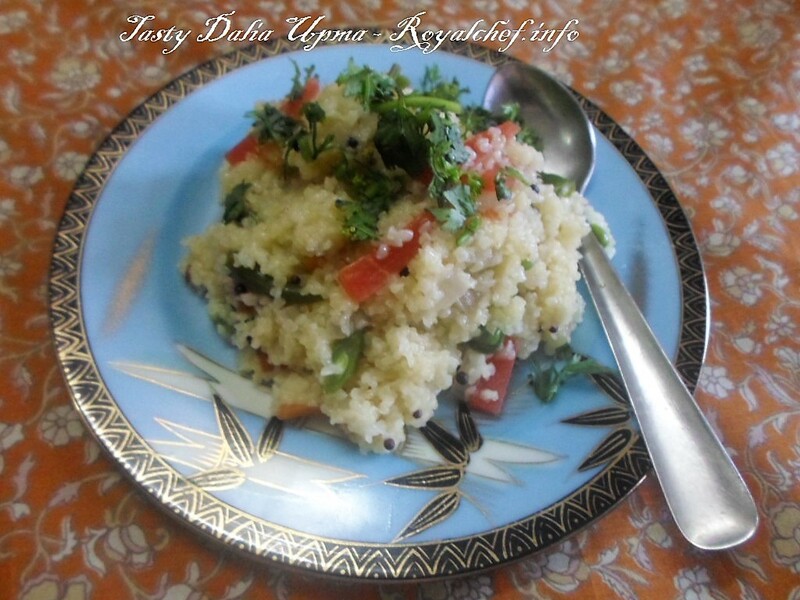 Boil four-five glass of Water and add two-tablespoon Sugar and Chana balls, which we have, prepared. And then boil for eight-ten minutes on slow flame. Keep the Chana aside for cooling. For the Milk: Boil the Milk for ten-fifteen minutes on a slow flame and add the Sugar and Milk Powder. Mix it well and boil for five-seven minutes on slow flame. When Milk will cool then add Cardamom Powder and Chana balls and then keep them in the refrigerator for cooling. Serve cold. While serving garnish with Dry Fruits and Chocolate Sauce.